Have you ever heard about a Flowchart Template? It is a diagrammatic representation of an algorithm. It represents the work flow or process that shows the steps with boxes of different shapes and symbols and their sequence connected by arrows. This will make the running of task very easy to understand as everyone involved in it would well understand how to proceed with the work from beginning to end. 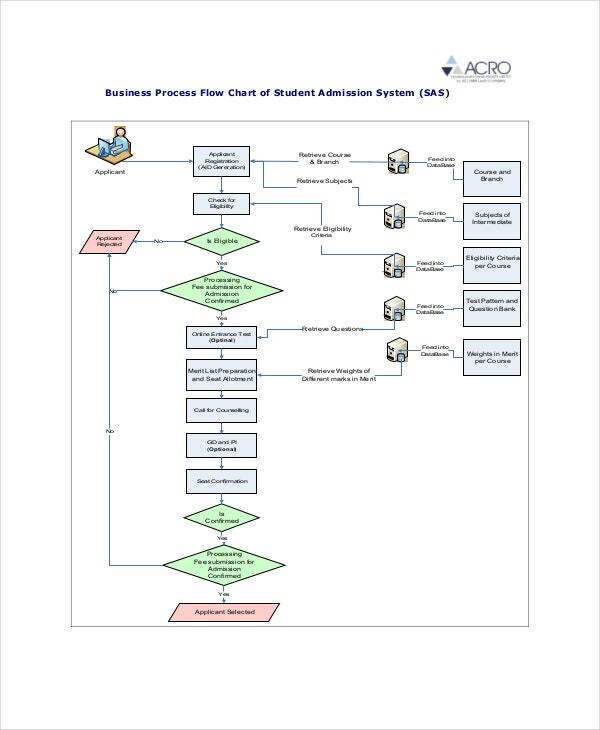 You can even create your own flowchart template designs and other diagrams. 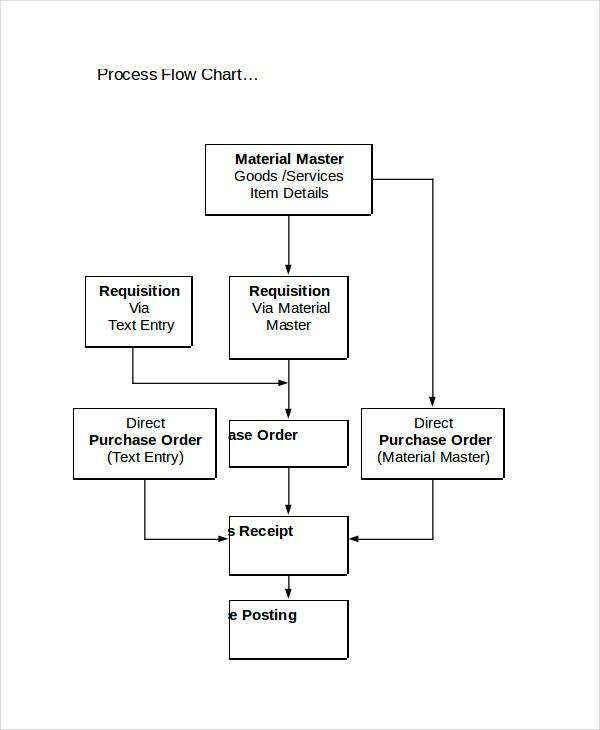 You have a process flowchart template here that defines the entire system of SAP Materials Management Reference Card with all the steps of the process described in legible boxes. You have 2 flowcharts here defining acquisition and management of physical resource and electronic product. The template also offers clear descriptions of the various flowchart symbols are used here. 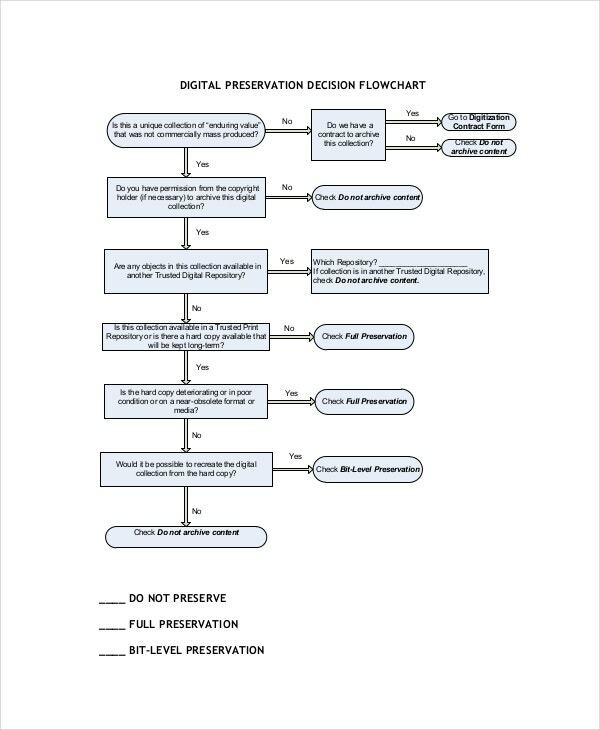 If you need ideas on an organizational flowchart, this document here is all you need. 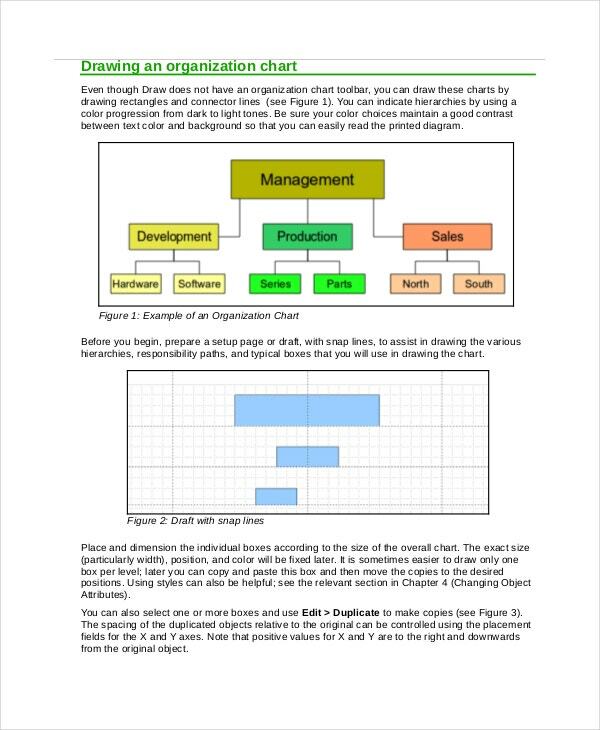 It has extensive chapters on every aspect of the topic-drawing organization chart, flow diagram and so on. You can also see Excel Organizational Chart Templates. 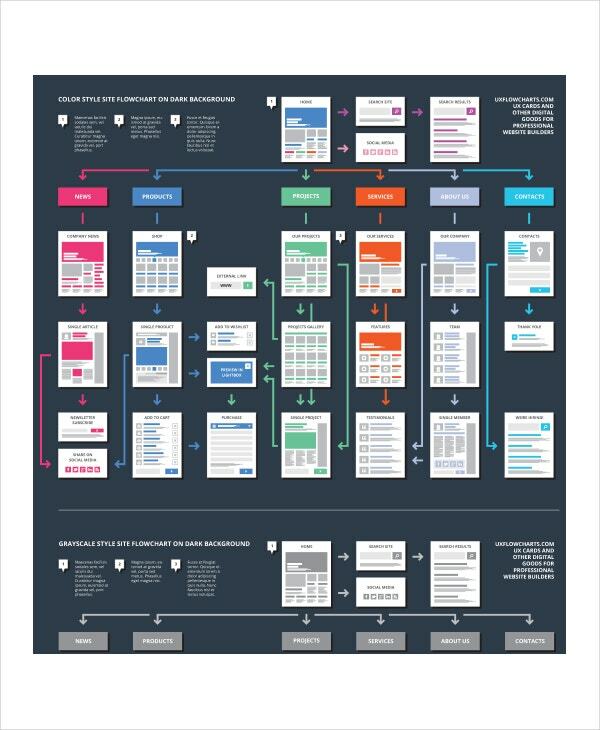 > What is the importance of a Flowchart Template? Human mind responds better to visual data. 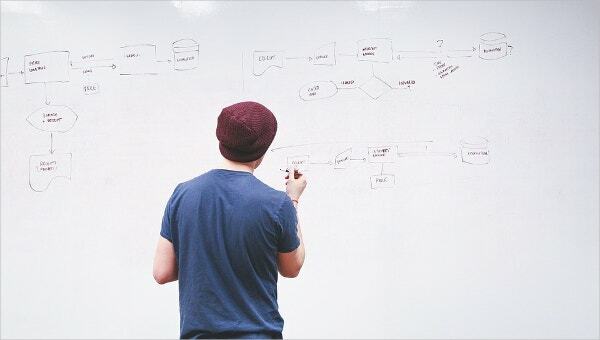 When you have to introduce a long process to your team, it’s better to present it through a diagram rather than just mere text- and this is where you would need flowchart template. These charts are important project management tools like PERT Chart Template or Gantt charts and help in an easy and quick grasp of data. Data presented through flowcharts also stay etched in mind for a longer time compared to textual data. Besides, when you will have everything presented in a visual diagram before you, it would be easier to find out the loopholes as well. 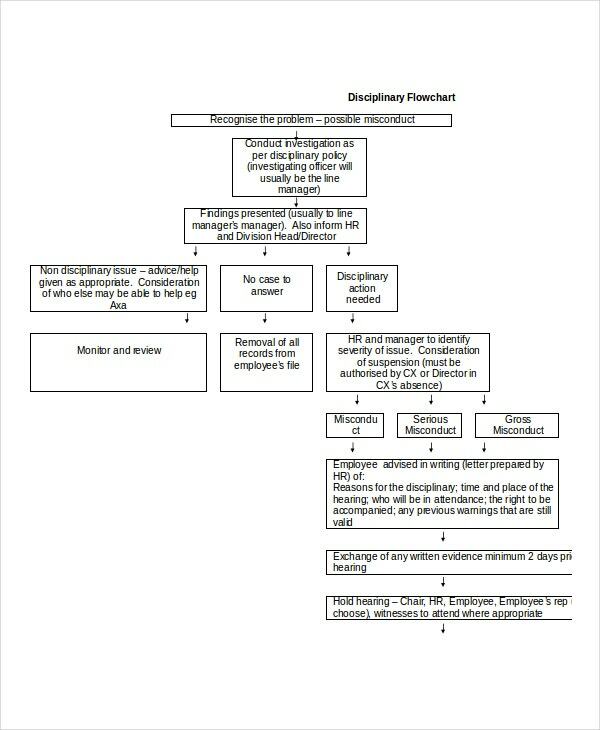 You have a detailed peak flowchart here that will help you to document your nursing observations on a patient regarding the patients PEFR rate. 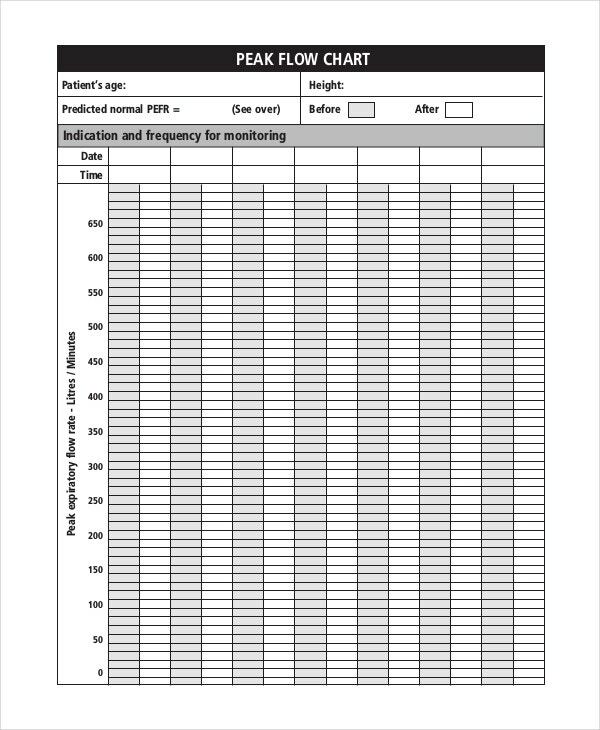 You also have a table below on normal PEFR rate for male and female. 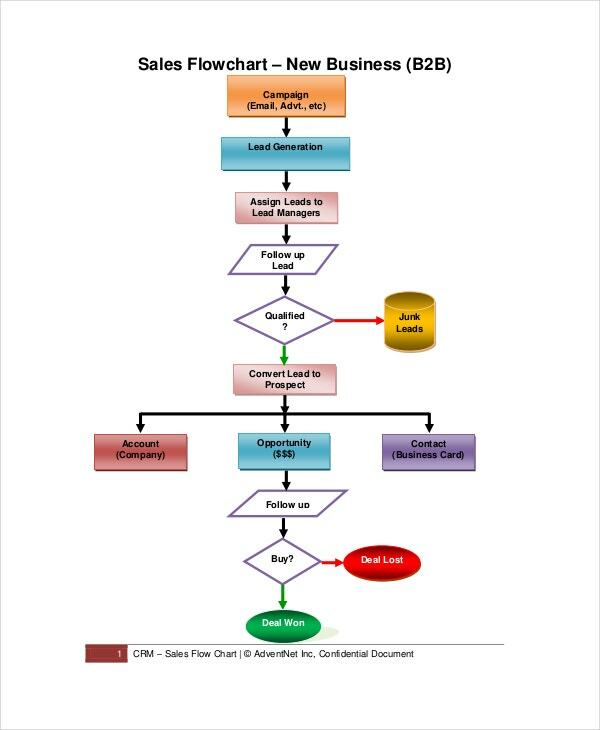 You have 4 sale flowchart templates here for new and existing business. The first two deal with the sales process for B2B while the last two cover sales process for B2C. 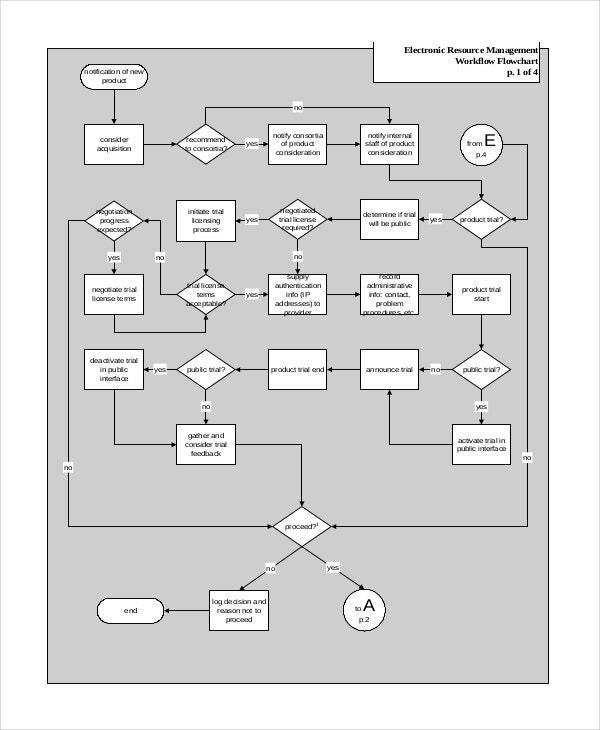 > What are the Tips for Creating a Flowchart Template? 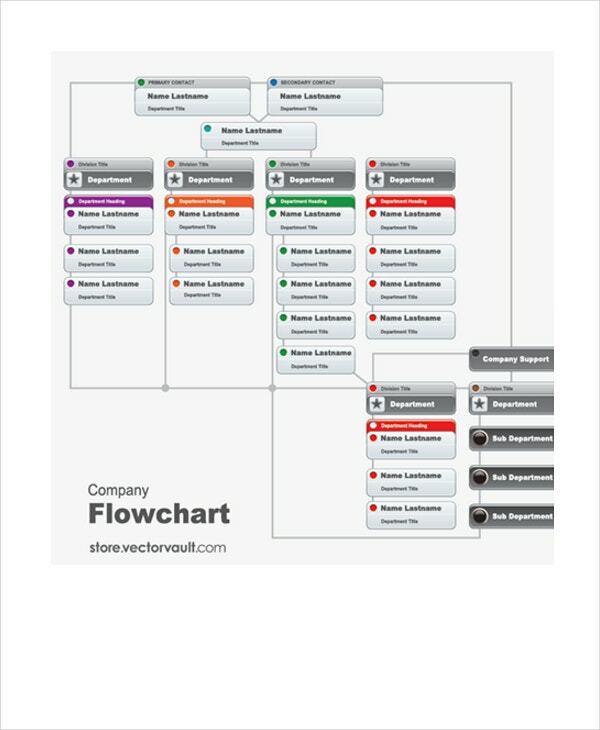 When you are planning to design a flowchart template, you should first decide on the goal of the chart. Unless you are clear about your goal, you cannot be vivid about the steps that will carry the flow of data from start to the end. Besides, experts also advise people to decide on their starting and concluding points beforehand as this would help them with better planning of the chart. Also, the chart shouldn’t be too long- it’s better if you divide the chart into sub-flows for a more convenient understanding. Finally, make sure to offer a definition of the flowchart symbols beside or below the chart to guide the reader. You can also see Free Chart Templates. 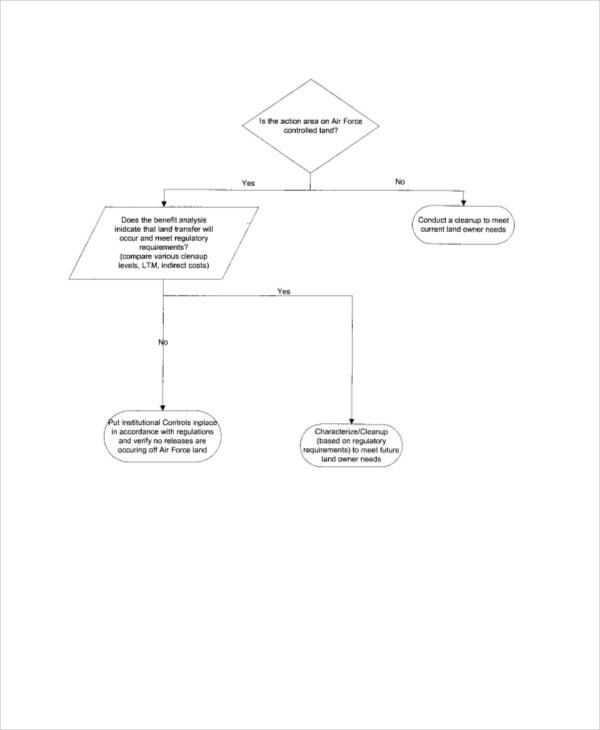 Are you looking for help in framing flowcharts? 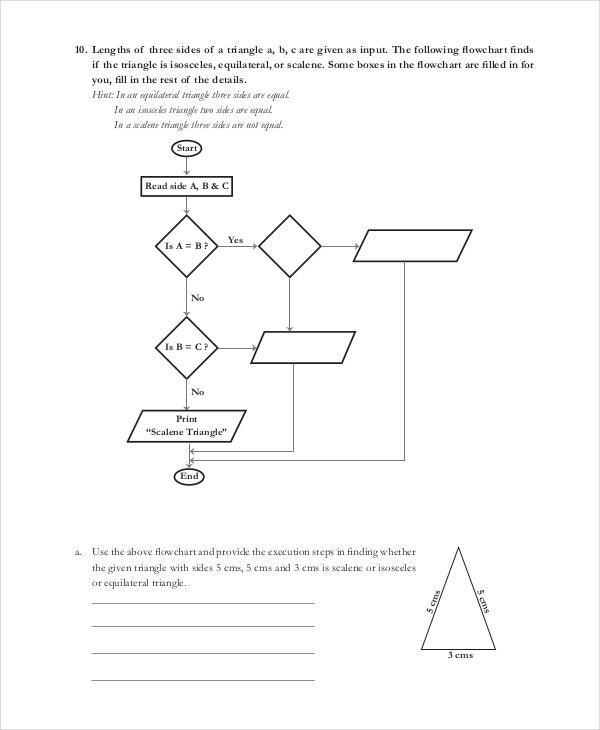 Well, in that case, the templates mentioned above are just the thing that you need as they come with a readymade flowchart structure so that you don’t have to draft the whole thing from scratch. Needless to mention, these are great time and energy savers.